It takes a company 197 days on average—more than half a year—to identify a data breach. Considering that the average cost of a data breach has reached $3.86 million, security leaders need more expeditious ways to detect and remediate threats before they wreak havoc, according to the Ponemon Institute. 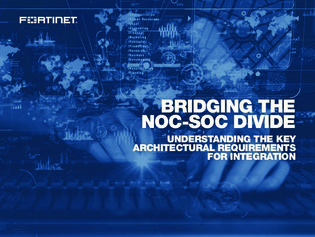 In this white paper, learn how you can strengthen security by bridging the gap between siloed network operations centers (NOCs) and security operations centers (SOCs) to provide the needed agility, scalability and better use of technical resources.